Angel Athenas is disciplined in her craft, training six days a week and eating healthy to be the best powerlifter. Angel is also very independent. All of her Ironman teammates refer to her as “the Secret Weapon” and she has been powerlifting with them for over 2 years now. She says Special Olympics New York has changed her life and she is proud of what she has accomplished. Recently she appeared on the local news surrounding her sports standings at the 2018 Special Olympics USA Games in Seattle this past July. She is very happy that she pushed herself past her absolute limits and has met and exceeded her goals. When asked about role models, Angel stated hers is her mom. If Angel was to change the world for the better, she would start by feeding the hungry and helping the homeless. She is also a member of the Self Advocates of Long Island and Vice President of FREE to BE. 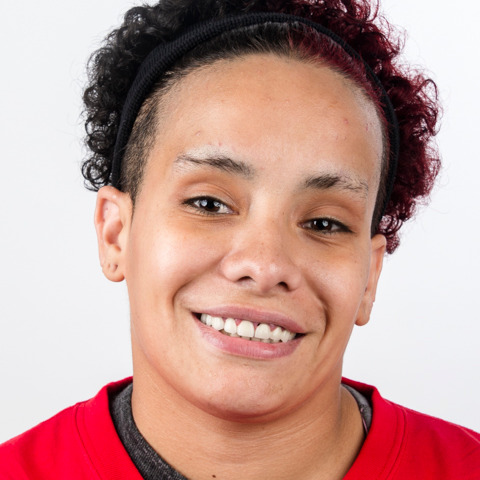 While engaging in every facet of the sport of powerlifting, Angel also has other interests, such as UFC, MMA, music, and hopes to become a DJ and a personal trainer in the near future. Her other favorite hobbies are horseback riding and abstract painting. She also tap dances and has been featured at Carnegie Hall for the Special Olympics Helping Hands Fundraiser.